It takes a lot to render me speechless but those four words did just that yesterday afternoon. They were spoken by the sixty-something year old woman sitting behind me in a movie theater. 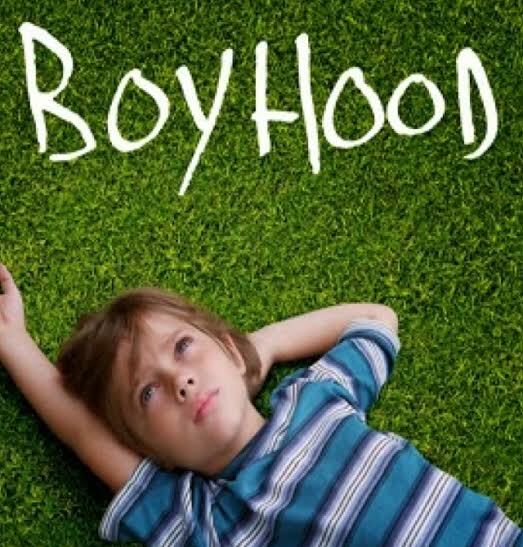 My wife and I had gone to see Richard Linklater’s critically acclaimed film, “Boyhood.” The movie was filmed over 12 years and centers on a young boy named Mason. We literally watch him grow up – from 6 to18 – during the course of the film. It is a remarkable and moving cinematic experience. The woman sitting behind me clearly did not agree with me or most major film critics and shared insightful comments like “this is so boring” and “there’s no plot” and “what a stupid movie” throughout the film. I gave her my best “I’m going to stab you” look about the third time she did this but she appeared immune to my Bette Davis eyes. My head snapped as I looked to my wife to see if she had heard what I had. The mortified look on her face told me that she had. People were pushing out of the theater all at once and by the time I had regained blood flow to my extremities and stood up, she was gone. I rushed out to the lobby to find her but she had disappeared. See Divine Intervention. My wife and I were meeting some friends (yes, gay) for dinner and I was practically foaming at the mouth as we walked to the restaurant. I was mad that I hadn’t said anything to the woman and I was wounded. It had been a very long time since I had witnessed such a blatant exhibition of callous ignorance and casual bigotry. I was still thinking about it this morning when I woke up but I didn’t have time to gnaw on it because we had to get ready to go to a wedding. Our friends Chris and Kami got married in NYC in June and had a ceremony and reception for local friends today. Hearing these two wonderful women exchange vows was probably the most perfect antidote for the venom of the matinee madwoman yesterday. Chris is a doctor and Kami is a college professor. And they have met their match in the best sense of the word. In the hallway outside the reception there was a table with a big jigsaw puzzle made from a photograph of Chris and Kami taken on one of their many adventures. 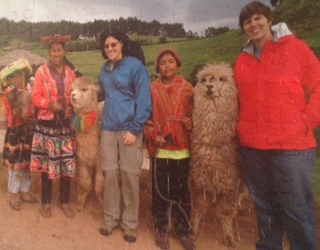 They are standing with huge smiles between some alpacas and native children in Peru. 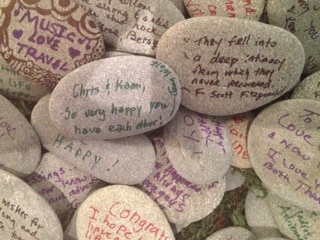 Another table had a pile of flat rocks and markers on it and we were asked to write sweet messages to the newlyweds.